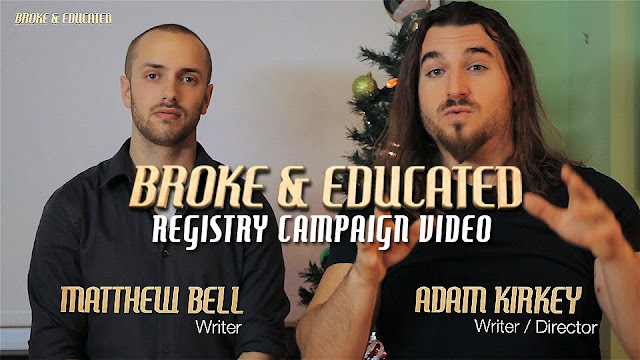 BROKE & EDUCATED CROWD FUNDING CAMPAIGN LAUNCH!! 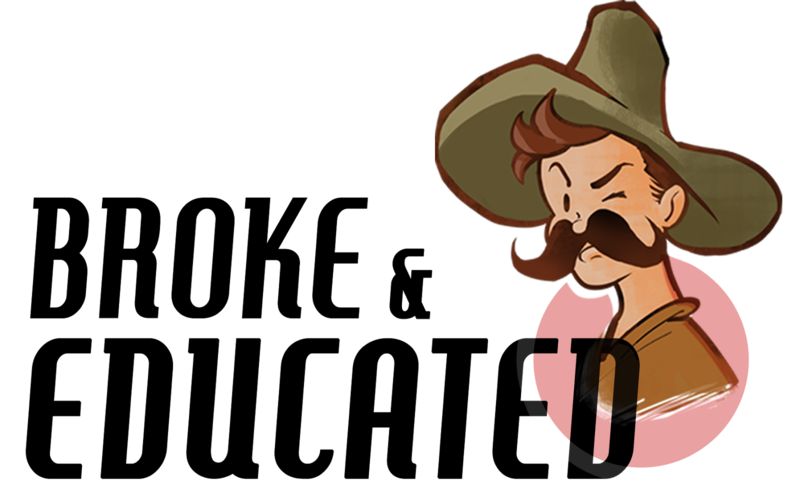 Check out our crowd funding video on Fund Anything, and be sure to check out our Registry Campaign as well! 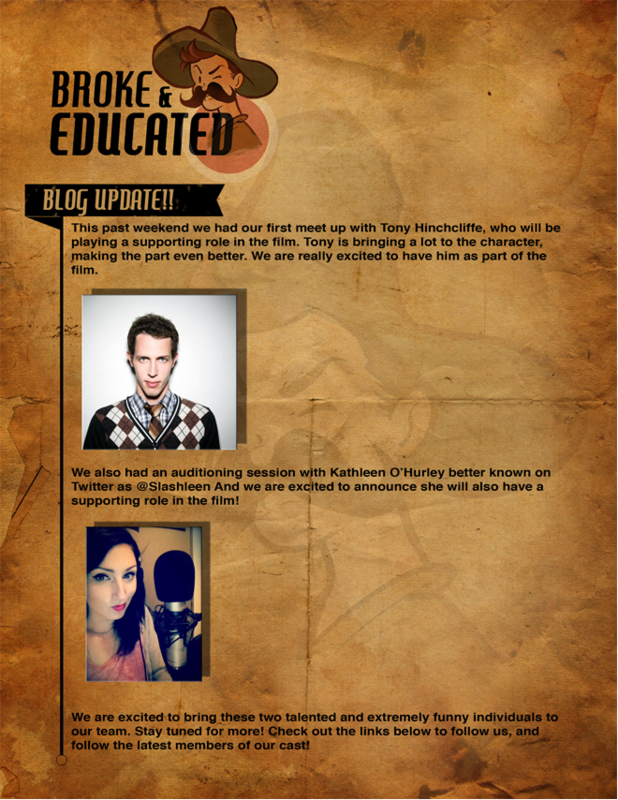 Tony Hinchcliffe & Kathleen O'Hurley Update! Welcome to the Broke & Educated website, we are a small independent film, in the pre-production stages of getting made! Stick around, and follow our journey! 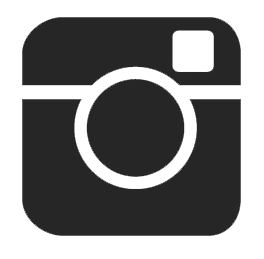 Web site is still under construction, be sure to check us out on Twitter, Facebook, instagram, and keep checking back here for more updates!